The international FAME+ Master programme was initiated in 2007 in the framework of the European FP6 Network of Excellence FAME NoE (Functional Advanced Materials and Engineering of Hybrids and Ceramics) and belongs to EMMI : the European Multifunctional Materilals Institute. The FAME Master was selected for the first time in 2007 as an ERASMUS MUNDUS Master Programme. It has been selected for a second time in 2011 with the same consortium of partners and is running now since more than 10 years with an international brand! The FAME+ consortium has created over the last 10 years an extensive network of partnership all around the world. More than 200 graduates have been awarded with the FAME master degree. The origin of the master candidates covers a large number of countries around the world and all the continents, as presented in figure 1. Figure 1: Origin of FAME students. The origin of the FAME+ students, among the different target regions identified by the Erasmus Mundus program, addresses the Asia Region (Region 6), Central Asia (Region 7), Latin America (Region 8), ACP countries (Region 11) and Gulf Countries (Region 12). In these regions, the partner organisations of the FAME+ consortium have, either long standing institutional collaboration with specific universities of these countries, or have established new collaboration agreements directly connected to the FAME+ program, based on the experience of the FAME alumni and scholars having joined to program over the last 10 years. 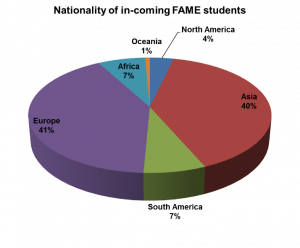 A special focus on countries outside Europe shows that Asia represents a large part (40%) of the students having joined the FAME program. 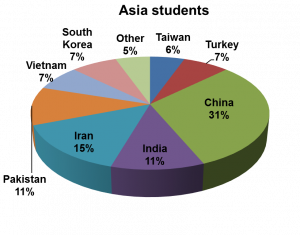 Within these Asian countries (figure 2), the consortium has established special ties with several universities from region 6 (Asia : Thailand (2), Vietnam (1), Sri Lanka (1), Indonesia (1) and region 7 (Central Asia : Uzbekistan) which have expressed their strong support to the FAME+ program. Figure 2: Origin of FAME students from Asia. The second largest cohort of FAME students comes from Europe, represented for 80% by students from the partner universities. (Figure3), but also with students coming from Central Europe or Balkan countries. 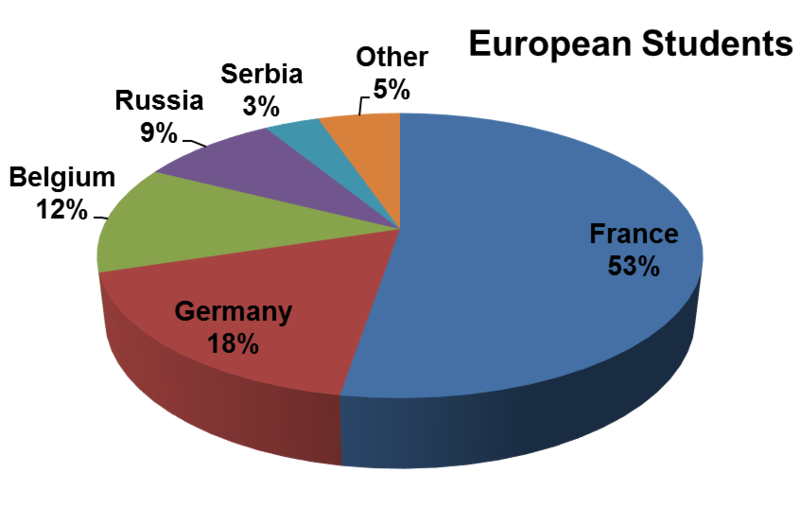 Figure 3: Origin of FAME students from Europe.